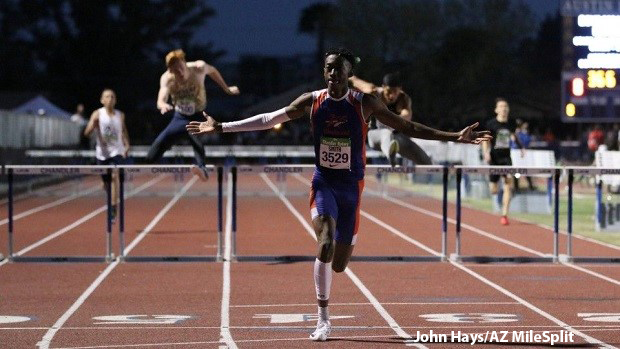 James Smith Jr. (Westwood, 2018) was the top hurdler in Arizona both the Intermediates and he was incredible to watch this past year. 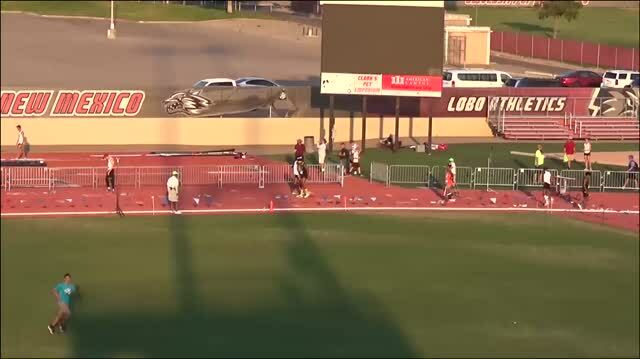 While he's talented in both hurdling events, he had just the right combination of speed and endurance as a long sprinter specialist to hold his form around the whole track, which is why he is also a State record holder for the 400m Hurdles, with a mark of 51.45 from New Balance Outdoor Nationals. James (Jr.) took after his father, James Smith Sr., who was part of the Maryvale High School State Championship team in 1983. "James (Jr.) is a good hurdler naturally and picked it up fairly easily," said Smith the elder who has been coaching at Westwood for almost ten years. 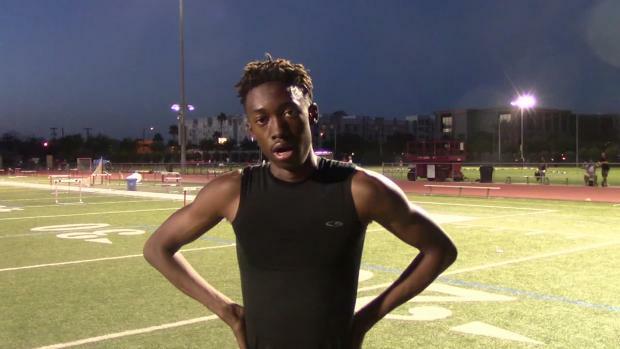 Chandler Rotary is Arizona's premier Track and Field Invitational with and among the 3,800+ athletes who competed at Chandler High School last year, Smith stood out as one of handful of hometown favorites to win his event. 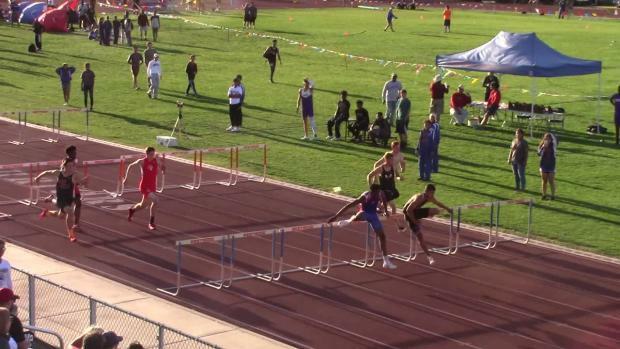 That evening, he set a new meet record of 36.58 in the 300m Hurdles to take down Devon Allen's (Brophy College Prep, '13) mark of 37.04 set back in 2012. At the time, Smith's performance ranked him as the 2nd best intermediate hurdler in the nation and it was the fourth fastest in State history. Smith went undefeated in the intermediates during the regular season, picking up victories at Chandler Rotary, Arcadia, and finally State. 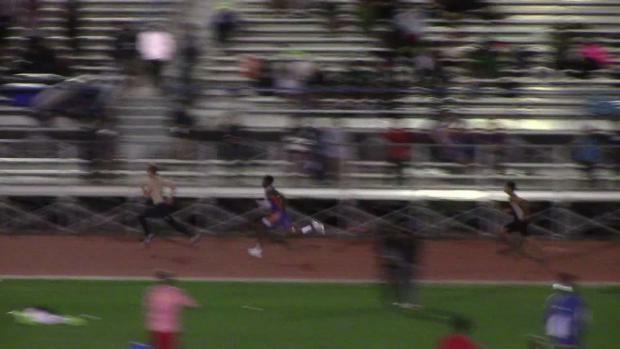 Then he clocked a U.S. #4 performance in the Intermediates at Great Southwest. 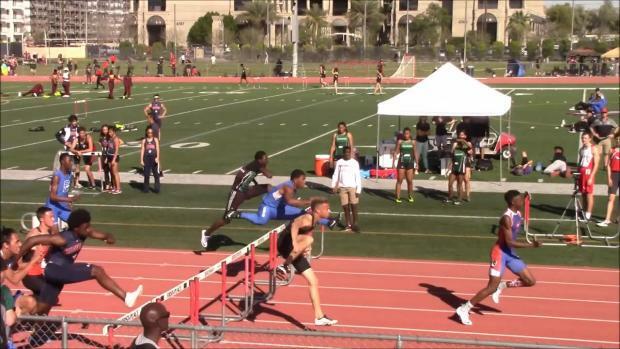 Two weeks later, at New Balance Nationals, he clocked 51.45 in Boys' Championship 400m Hurdles to secure 2nd place while breaking his own State Record. 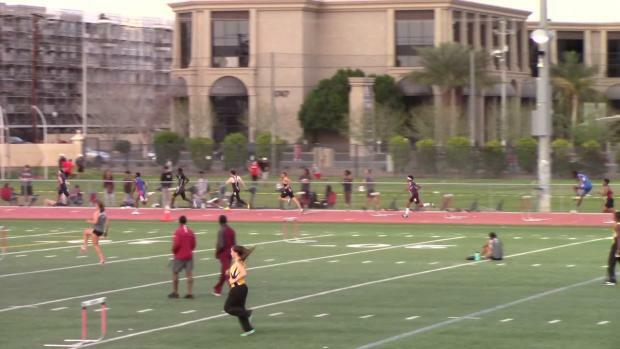 While those were amazing performances in their own right, his race at Chandler Rotary stands out as a nationally-ranked meet record in his hometown of Chandler, AZ making it No. 5 on our list of the Top Stories of 2018. Watch Videos of James Smith Jr.